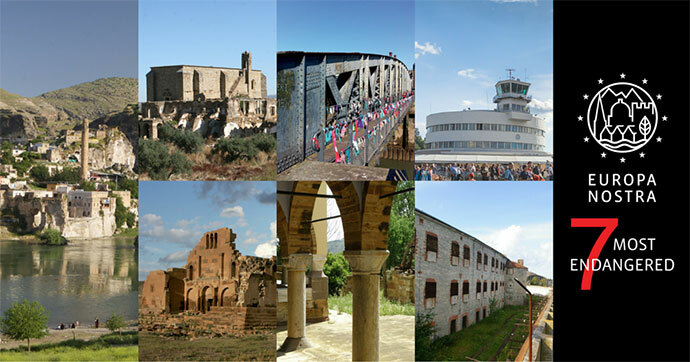 The EIB Institute will participate to the 5th Anniversary Conference of the 7 Most Endangered programme, on 22-24 October in Nicosia organised by Europa Nostra in the framework of the European Year of Cultural Heritage 2018. Participants will discuss lessons learned since the launch of the 7 Most Endangered programme in 2013 and the way forward, share some best practice examples of saving endangered sites. They will also draw particular attention to the case of the Buffer Zone of the Historic Centre of Nicosia, which was listed among the 7 Most Endangered heritage sites in 2018. Since 2013, the Institute has been cooperating with Europa Nostra under the 7 Most Endangered Programme to identify monuments and sites under acute danger of neglect or destruction. Europa Nostra is the main European NGO dedicated to protecting Europe’s endangered cultural sites and monuments with a large network of members and associated organisations in nearly 50 countries.